The Island Roots Heritage Festival returns to Green Turtle Cay May 4-6. A fun filled weekend celebrating Abaco and learning more about her history. Have fun and help clean up the reefs of these invasive fish. On June 30, 2018 the Green Turtle Club hosts the annual Lionfish Derby (Captain’s meeting June 29:5-7 pm). Get out on the water and spear and catch all of the lion fish you can. Bring them back to the dock where there will be awards for largest, smallest and greatest number caught. Afterwards there will be a lionfish tasting. Join the Green Turtle Cay community at Fiddle Cay on July 3 as we party for a purpose. New this year, VIP passes for $250 which allow access to new VIP area and benefit the Green Turtle Cay Foundation. Make your plans to be here for this fantastic family friendly event and enjoy free cheeseburgers, margaritas, and more. Also, don’t forget to pick up some merchandise as all proceeds from the Party benefit the Amy Roberts Primary School on Green Turtle Cay and the Green Turtle Cay Volunteer Fire Co. The May 2016 Southern Boating magazine listed Ten Delightful Bahamas Restaurants. Included in the list were our very own Blue Bee Bar, home of the Goombay Smash, and the Green Turtle Club. Both minutes away from Long Bay House. Come on over and enjoy these island treats. In the October 1, 2012 edition of The Abaconian it was reported that U. S. bird-watching tours will be heading to Abaco soon. A visit to Green Turtle Cay during the investigative visit turned up many shore bird species, including Red Knots, Black-bellied Wilson’s and Piping Plovers and Semi-plamated Sandpipers as well as Oyster Catchers. Click on the above link, or if that doesn’t work, copy and paste it into your internet explorer and see the Today Show’s tour of Green Turtle Cay. Leeward Yacht Club, just a short walk from Long Bay House, now offers tennis and Pickle Ball. In case you are not familiar with Pickle Ball, it is a paddle game played on a badminton size court. It is a combination of ping-pong, tennis and badminton played with paddles and a ball over a ground level net. The court is much smaller than a tennis court, so there is not as much running involved. Lobster season begins August 1 and ends March 31. If you’ve not yet made your plans to stay on Green Turtle Cay for opening day of the season, hurry up and do so. In an article matching personality types to different Bahamian islands, the Herald matched Abaco as follows. “If your favorite fabric is neoprene and your favorite bubbly is the kind that you breathe out of your SCUBA regulator…” then Abaco, with the fourth longest barrier reef in the world is for you. “On Green Turtle Cay is Brendal’s Dive Center, and he also caters to snorkelers. Afterwards, treat yourself to a Goombay Smash in New Plymouth at funky Miss Emily’s Blue Bee Bar, where the potent concoction was invented. 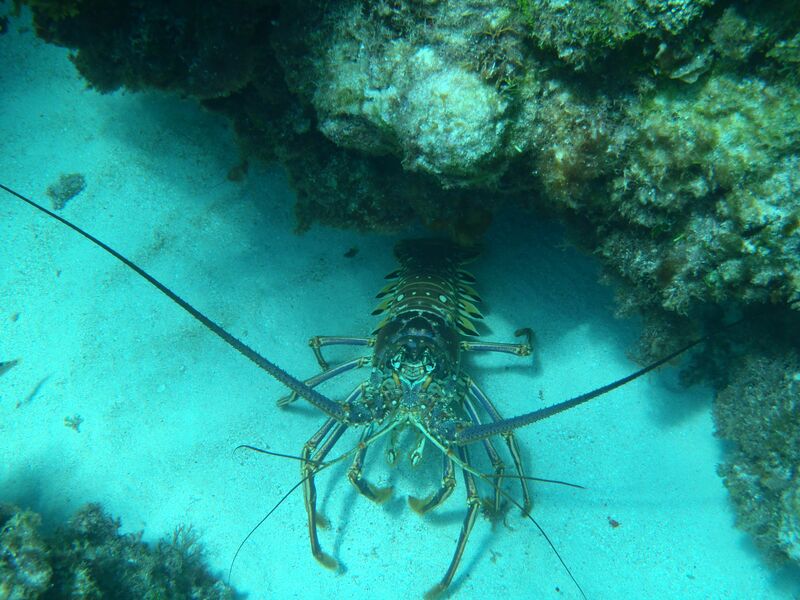 ” So grab your snorkel, your dive skin and head over to Green Turtle Cay. This entry was posted in News on January 19, 2012 by admin.